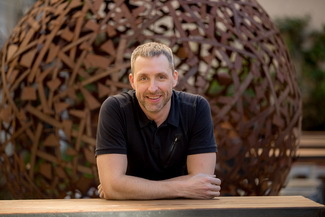 This episode is with an interview with David Asprey, part 1, titled “Bulletproof Coffee: Revisiting Fat and Health” and is being released on Sunday, May 26, 2013. This interview with Burt and Tom was recorded on Wednesday, May 20, 2013. His writing has been published by the New York Times and Fortune, and he’s presented at Wharton, the University of California, and Singularity University. Dave has been covered on video on CNN, ABC News, Nightline, Forbes, and MSNBC. In print, he’s been featured in Men’s Health, Forbes, Fast Company, the Los Angeles Times, and Vogue. Dave’s Bulletproof Executive blog was born out of a fifteen-year single-minded crusade to upgrade the human being using every available technology. It distills the knowledge of more than 120 world-class MDs, biochemists, Olympic nutritionists, meditation experts, and more than $250,000 spent on personal self-experiments. It’s really fast and easy to prepare. Realize salted coffee is a crime. Do not do this with salted butter. Bleah. If you’re like most of my friends who try this, your body is so starved for healthy fats that you feel like you can’t get enough. It will take your body a week or two to fully turn on its fat digestion systems when you switch to a high healthy fat breakfast of Bulletproof coffee. If at first it is a little too rich, try using less butter at first and build up to the amount you like. Taking a betaine HCl or digestive enzyme supplement with your coffee will also help your body digest the butter. P.S. If you benefit from this post, I’d really appreciate it if you tried my Upgraded Coffee beans. I created them for maximum mental performance and health, and they work, costing $2 more than Starbucks normal beans, and less than their “Reserve” coffee. The proceeds support the research that gets published on this site, and your brain really will notice the difference. Thank you. P.S.S. Thanks for linking here if you write about Bulletproof Coffee! Bulletproof is a registered trademark for my small company. If you want to use it, just ask! This entry was posted on January 27, 2014 by Amir Alwani. It was filed under audio/podcast/radio, food, health, news, science, studies, videos and was tagged with coffee.